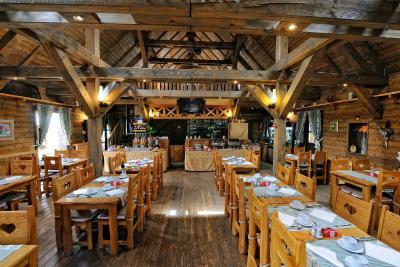 Location was brilliant.Very nice stay middle on Plitvice Lakes. Great position, close to the entrance 3 of the park, with the possibility to get tickets directly at the reception (a guy will go to entrance 1 to buy them for you), in this way the access to the park can be done on foot directly from the hotel with 3 minutes walking. 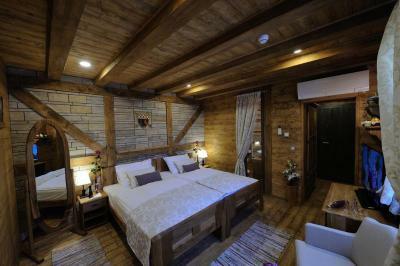 Room were very beautiful, wrapped with wood, lovely! Welcoming staff who even carried our luggages to 3rd floor! 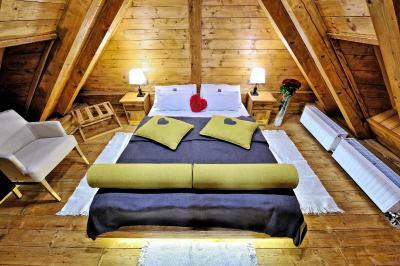 Cosy and very special room. 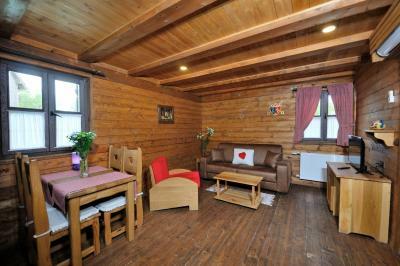 Great location to the Plitvice lakes as the entrance 3 is available on foot. A very nicely appointed Hotel a little away from the hustle and bustle. The hotel was perfectly located for entry into the National Park via Entrance Gate 3. Less crowded and walking distance from the Hotel. The staff were very friendly and our room was spacious and clean. The restaurant on site was excellent. Great food and very nice staff. We enjoyed everything at the hotel. Very big beds, very friendly service. 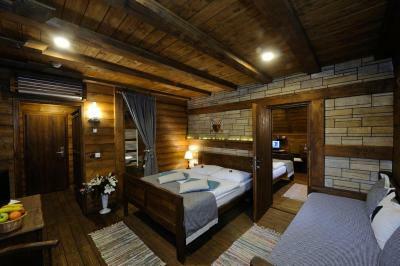 Air-conditioned room made of wood. 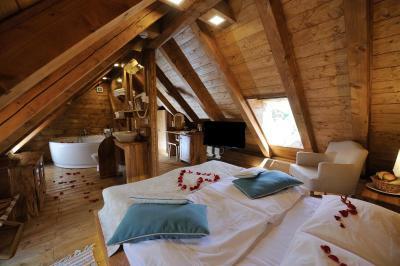 Comes with a minibar, a seating area, a safe, an LCD satellite TV and a king-size bed. 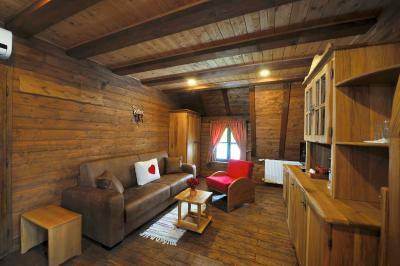 Air-conditioned room made of wood. 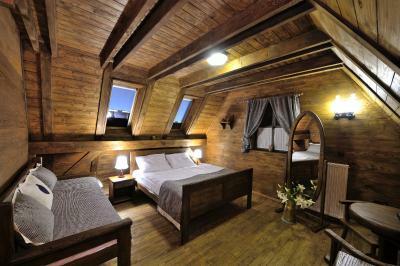 Comes with a minibar, a safe, a seating area, an LCD satellite TV, a king-size bed and a single bed. 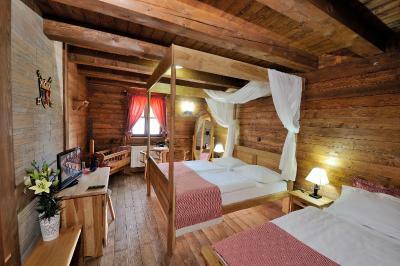 This air-conditioned suite features a bedroom and a seating area, as well as a bathroom with shower and a hairdryer. Amenities include an LCD satellite TV, a minibar and a safe. This air-conditioned two-bedroom suite features a living area and a bathroom with shower and a hairdryer. Amenities include an LCD satellite TV, a minibar and a safe. This family room has a cable TV, a minibar, a safe, a seating area and air conditioning. 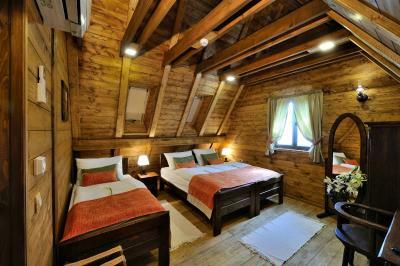 This twin room has a seating area and air conditioning, as well as a safe and a private bathroom with a shower and a hairdryer. 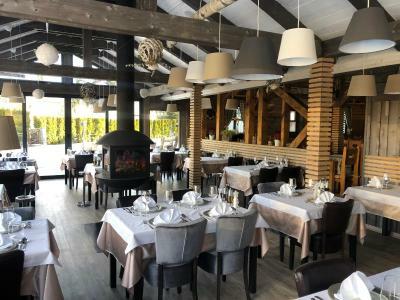 Please note that for this special offer children up to age of 9 will be accommodated free of charge in extra beds,while children from 9 till 15 years of age will be charged 29 EUR per day.